BMW India demonstrated the dynamism, versatility and high performance of the entire BMW product range on the first day of the BMW Experience Tour 2015 being held in Gurgaon, Haryana from 9th April to 12th April. Gurgaon is the seventh city to host the 18 city tour. 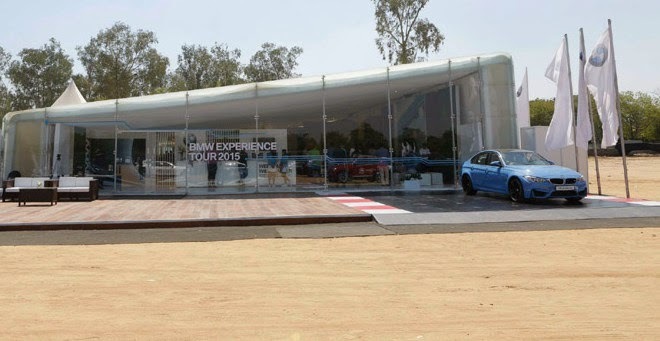 BMW Experience Tour 2015 is designed to provide existing and potential customers a platform to experience the BMW brand, test drive the vehicles and interact with the product experts. 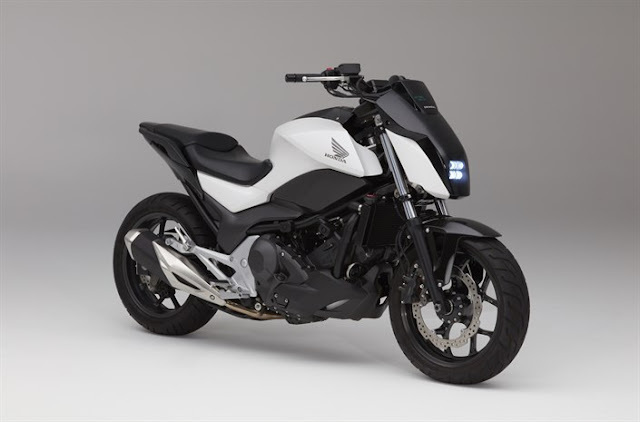 There is also a specially designed BMW Mobile Brand Store housing the BMW Individual lounge, Lifestyle section with BMW merchandise and an entertainment zone with a playstation console set-up. Commenting on the occasion, Mr. Philipp von Sahr, President, BMW Group India said, “BMW Experience Tour provides our customers in Gurgaon a first-hand experience of the exhilarating performance and superiority of BMW vehicles in a challenging and exciting environment. They are able to appreciate the versatile capabilities, technology, safety systems and features of our cars in detail. The invitees on day 1 also had the opportunity test-drive the BMW SUVs (Sports Utility Vehicles) – The X6, X5, X3, X1 and the BMW 3 Series Gran Turismo on a specially prepared dirt track, and the BMW 1 series, 3 series, 5 series and the 7 series on a tarmac track. 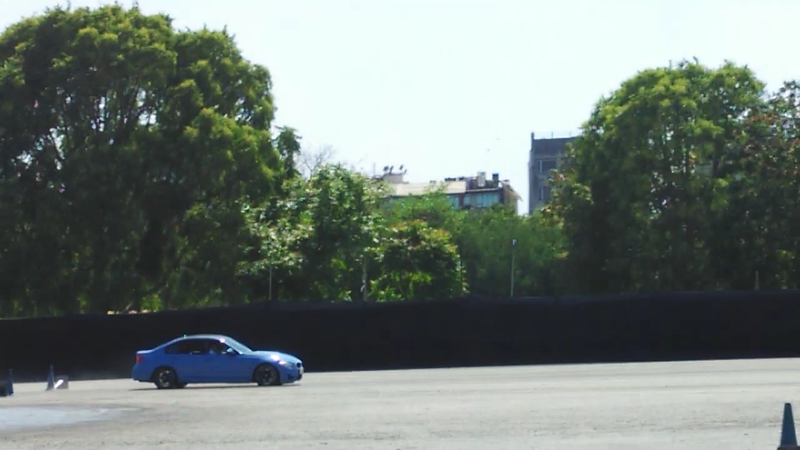 There was also a special taxi ride for the invitees in the BMW M-series cars- the M3 and the M4- which were driven by specially trained BMW drivers, giving a glimpse of the brute power and performance of the M-series. 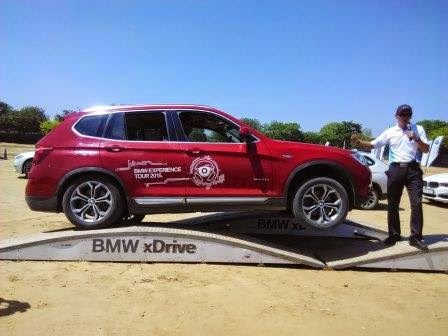 BMW also showcased the BMW xDrive. It is an intelligent all-wheel drive system that monitors the driving situation continuously and distributes power smoothly between axles where it is needed the most. 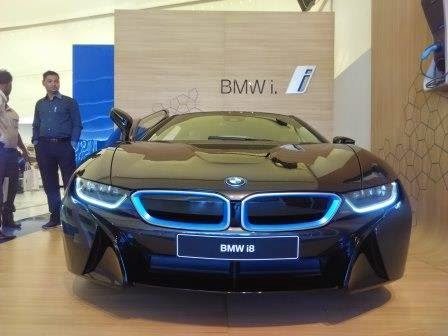 Also on special display are the newly launched BMW i8 and the entire range of MINI cars.